For some time now, the members of the Upstream Collective have been repeating a line that goes something like this: “The Great Commission belongs to the local church.” Our intention with this refrain has been to call local churches to take seriously their responsibility to send and support workers to cross cultural barriers in order to make disciples. We believe strongly that churches are God’s prescribed mechanism for mission, serving as missionary factories (making disciples, sending them out, and shepherding them as they go) and as missional communities (the “missionary team” in a given place). This is a stark contrast to the trend in missions that has developed over the last two hundred years. 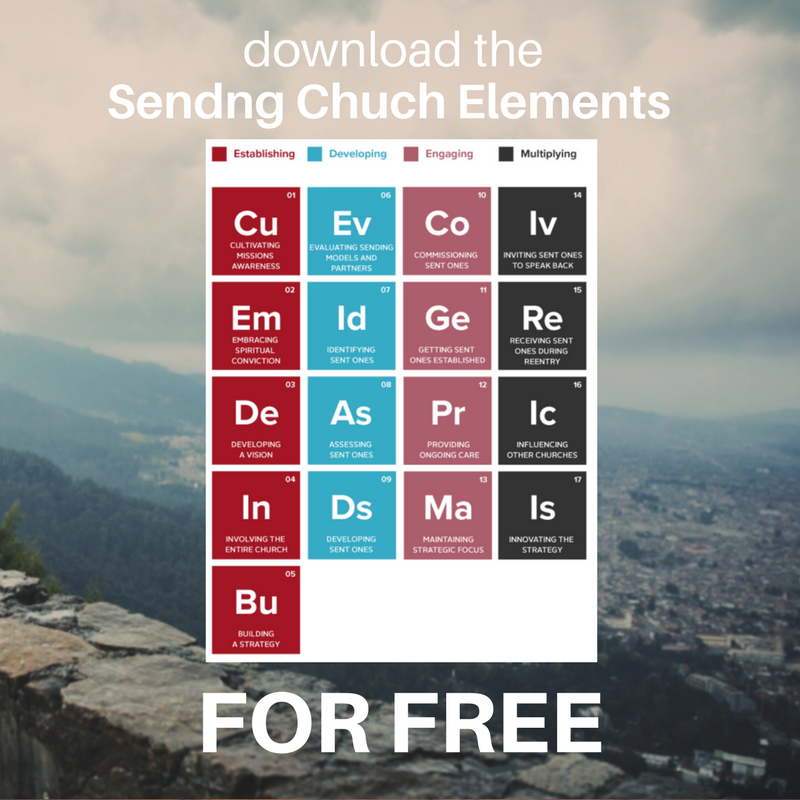 Early on, churches partnered together to send and support missionaries. The relationships between churches evolved from inter-church partnerships into para-church organizations. Rather than being sent by their churches, missionaries began to leave their churches to be sent by mission societies and agencies. As God’s people, we are His Church. The Church is an invisible body of regenerate people around the world, led by Christ Himself. God’s mission is for His people everywhere. Yet when it comes to faithful obedience to God’s instruction for Christ-followers in Scripture, we function not as an invisible (or “universal”) Church, but rather as local churches (Acts 2:38-47). Even the word church means more than just “called-out-ones.” It carries a location-specific connotation of “assembly” (Hebrews 10:25). Scripture provides us with clear guidelines for how the Church should function, and it’s always at the level of the local church. Scripture guides us in how to select leaders (1 Timothy 3:1-13), solve disputes (Matthew 18:15-20), pool our money (Acts 2:42-47), hold one another accountable (James 5:16), and how to worship (1 Corinthians 14: 26-33). Spiritual gifts work together to enable God’s people for gospel ministry (1 Corinthians 12:27), and this teamwork happens among God’s people serving together in a specific place. Church leadership requires some level of relationship. As we see in the case of the Saul and Barnabas, missionaries are raised up and sent out by a local church. Upon their return, sent-ones report back to a local church. When the Bible speaks to how the Church should work, it is implemented at the level of the local church. Whether providing teaching curriculum or helping to navigate the details of sending someone to live in a faraway city, parachurch organizations can be a terrific help to churches. But when supporting agencies are allowed to take the place of churches, they step in to do a church’s job. The result is an organization that isn’t a church operating as though it were a church, and we know that we cannot improve on God’s design for the body of Christ. It also results in churches being disconnected from their mission, which is very reason they exist. There is certainly a place for parachurch organizations as a network of churches committed to thinking and acting like missionaries at home and abroad (Upstream is a parachurch organization! ), but that place is in a support role, equipping and encouraging churches as they faithfully make disciples who make disciples of all nations. We are thankful for God’s sovereignty in establishing His church. While it may, at times, seem terribly inefficient and woefully inadequate, we trust that local churches are the tangible expression of His kingdom on earth. As we continue to mobilize and equip churches for mission, we will do our best to stay in the background, encouraging and helping but always from the posture of service to churches, God’s agencies for global mission.